In December of 2014, spirit giant Luxco acquired a 50% equity position in Limestone Branch Distillery in Lebanon, Kentucky. Limestone Branch has been operated jointly by the two companies and Yellowstone bourbon is the first product released since the partnership. It is important to note that the product is a blend of three sourced bourbons, of which, only 6,000 bottles were produced. Nose: Cheesecake, cinnamon, salted caramel, graham crackers. Taste: Sweet hard candies, red hots upfront, followed by spice cake with vanilla icing, honey, rye spice, subtle salt, and toasted oak. Finish: Sweet spice with a warming oak. Conclusion: This is a sweet yet spicy bourbon. 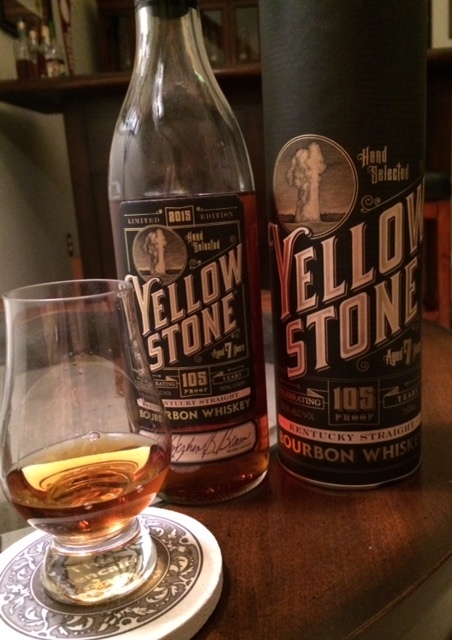 It's mellow, but at 105 proof boasts a thick mouthfeel with rich flavors. 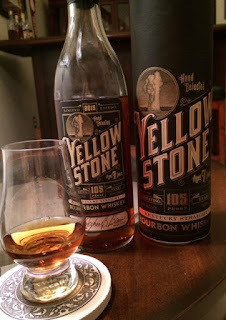 I know people will ask, so let me mention this now- Yellowstone bourbon barrels were selected by Limestone branch President and Distiller, Steve Beam; it is not the same juice as Blood Oath. At a $105 price tag, its not the greatest bang for your buck, but as it is truly a limited release, I recommend you give this a try. Lastly, shout out to David Cole for another amazing bottle design. 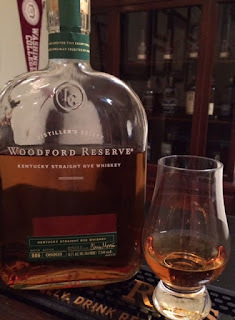 When I first heard Woodford Reserve was adding rye whiskey as a permanent addition to their portfolio I was ecstatic. Its been well documented that they have been experimenting with rye whiskey for a while now and I thought to myself, if it was anything like the 2011 Masters Collection new cask rye, we would all be in for quite a treat. This whiskey was first released early 2015 and I had to reach out to an out of state friend to pick me up a bottle since it is currently only available in select markets. Nose: Starts off spicy, with heavy rye grain and black pepper. Crème brûlée, pear, apple, and cedar lurk in the background. Taste: Vanilla cream, green apple taffy, honey, with cinnamon toast crunch, mint, rye and black pepper spice. Finish: Medium in length with a sweet spice. Conclusion: While this is nothing like the 2012 Master's Collection Rye, this whiskey is delicious in its own right. It took a few pours to open up, but quickly became a favorite among the bottles I had open. If you are a Woodford Reserve fan like me, its a must try with a friendly price tag around $38.